While there are certainly subjective elements to any business valuation, there are three main approaches to valuation that are widely accepted and most often used by Certified Valuation Analysts (CVA) and other professionals that perform such services. These approaches are the asset or cost based approach, the income approach, and the market approach. Let’s look at the pros and cons, as well as situations where their use is most appropriate. 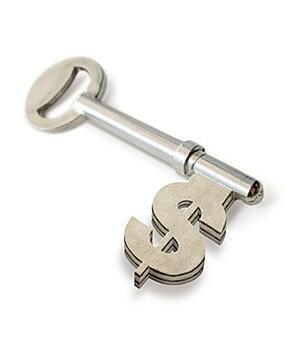 How it Works: The value determined under the asset approach is the value of a business’s assets less any liabilities. The assets and liabilities of the business could be valued under a number of different methods (fair market value, liquidation value, etc.) based on the purpose of the valuation and the premise of value being utilized. A valuation professional will often make adjustments to the reported amount of assets and liabilities on the “books” to reflect the valuation determined. In addition, non-operating assets and liabilities and other items often not included in the sale of a business (such as a note to the business owner) are typically not included in the analysis. Pros & Cons: The main advantage of this approach is the simplicity of its application, since the calculation of value is relatively straightforward and does not require any significant forecasts of future business activity or estimation of discount or capitalization rates. However, the approach can require costly appraisals of business assets and ignores the current and future earning power of the company. As such, this approach is best used for capital-intensive businesses, businesses with no current or projected operating income or non-operating entities such as real estate and investment holding companies. How it Works: Under the income approach, the valuation is based on the economic benefit stream (typically a form of net income or cash flows) produced by the business. This benefit stream is either capitalized or discounted to a present value, and this amount becomes the foundation for the valuation of the company. Two common valuation methods under this approach are the capitalization of earnings method and the discounted cash flows (DCF) method. The capitalization of earnings methods takes a single economic benefit (usually net income or cash flow for the most recent period or an average of activity from the previous three to five periods) and divides it by a capitalization rate, which represents the required rate of return necessary to earn that return given the risks of investing in the business. In the DCF method, the benefit stream is projected for a certain number of periods into the future (including a “terminal” value meant to represent value for an infinite number of periods in the future) and then discounted to present value. Pros & Cons: The capitalization of earnings method is best used for stable or mature business where the benefit stream is expected to grow at a consistent rate into the future. The DCF method is most appropriate for companies with uneven growth in their future benefit streams or businesses with a lack of earnings history. The major positive of the income approach is that it utilizes in the valuation calculation the benefit streams produced by an enterprise. Since a business’s value is commonly considered to be the present value of its future earnings or cash flows, these methods emphasize the elements that are generally valued by the investor in a business. One significant downside to the income approach is the degree of estimation involved in the calculations. The forecasting of future benefit streams and determination of a capitalization or discount rate often involve a high degree of professional judgment, which can subject the valuation to debate from other parties. How it Works: Under the market approach, data from sales transactions of comparable businesses are used to determine a reasonable valuation for a company. This data can take the form of actual sales activity for similar businesses or “rule of thumb” averages for an industry. Ratios and multiples can be calculated from the data and applied to the subject company to determine a suitable valuation. The multiple is frequently applied to revenues, cash flows or a form of earnings (such as EBITDA) for the business. Pros & Cons: The market approach is favorable since it is easy to apply and makes use of real-world transactions to derive a value. If a business is worth what someone is willing to pay for it, than the market approach is the most appropriate methodology to determine that value. However, the major challenge with the market approach is finding sufficient private company market data to reach a valid valuation conclusion. Many closely-held businesses do not have a suitable public company counterpart, and statistics on private market companies and sales transactions can be difficult to find, be from questionable or unreliable sources or can often need adjustment to be comparable to the subject company. However, for companies in which good comparable market information exists, this approach can provide the most reasonable estimate of value. While there is no definitive methodology for any one business, there are several approaches and methods available for consideration in a valuation engagement. Often a valuation professional will calculate valuations using two or more such methods before arriving at a final opinion of value. Determining which valuation method(s) is appropriate for a given business or situation often requires the experience and expertise of a valuation analyst such as a CVA. Read more about Concannon Miller's business valuation services here or contact me at mbilby@concannonmiller.com with any questions or for a personalized assessment of your business situation.